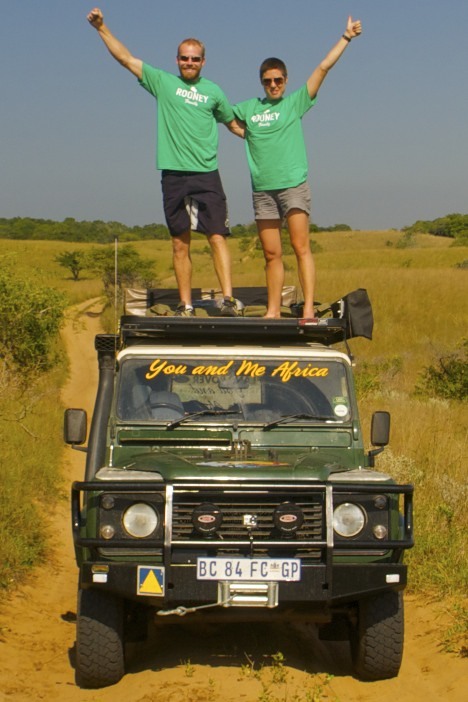 We are a touring and expedition company in Southern Africa. We are in the process of scouting new routes to take travelers on. 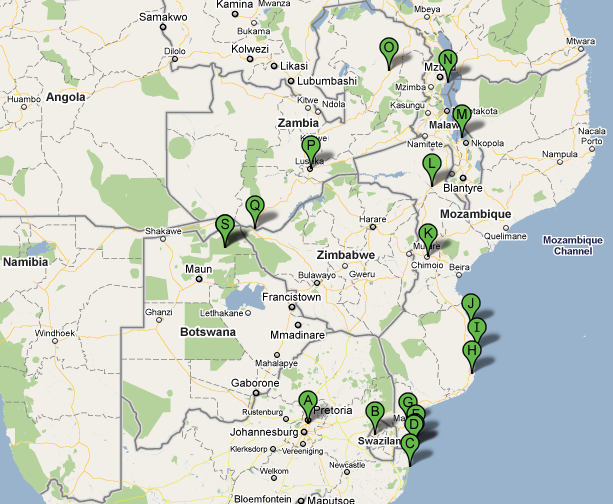 Our current journey is taking us from Johannesburg through Swaziland, up the coast of Mozambique, over to Malawi, Zambia, and down through Botswana. Mervyn is South African and grew up in Centurion, Pretoria. After he matriculated from high school he started scuba diving and driving boats out of Mozambique. He went on to finish his dive instructor certification in Thailand. From there he worked in the Bahamas on a dive live aboard and after a few years joined the private yachting industry. When Mervyn is not at home enjoying the mother land he continues to work on private yachts. Suzanne is an American born in Germany at Bitburg, Air Force Base. She calls Colorado home but grew up all across the states and Europe. After completing a degree in Resort and Restaurant Management she worked in the field for 3 years before joining the private yachting industry. When Suzanne is not enjoying the splendor of Africa she is home working in the States as an Estate Manager. Hi Suzanne! Your parents sent us your website. Looks like fun! We would love to come check it out.